We added cobwebs to the outside of the house which made it look totally spooky! A pack of Halloween cobwebs with plastic spiders is so inexpensive! You can pull, rip, and twist the material to fit any shape or size! Not to mention, a little goes a LONG way! I love our amazing mantle that my dad put together. A glowing jack-o-lantern & skeleton lights! Lighting always adds great ambiance to any room or to the outside of your house. Whether it's a sting of light-up skeletons, strobe lights or black lights, you can usually find spooky lighting for cheap. Plus, it should last you throughout the next couple of years! 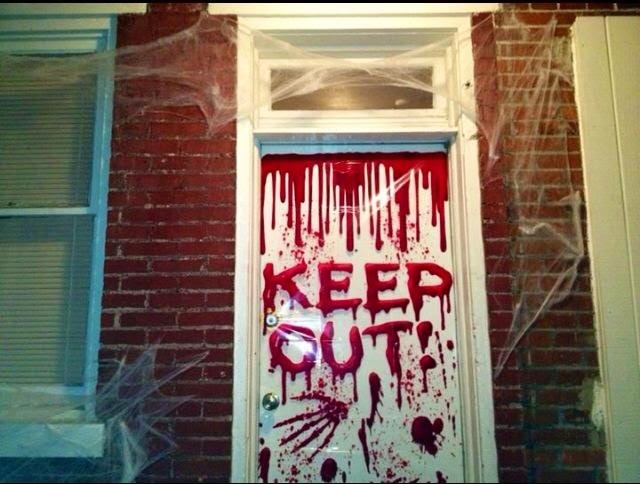 This is by far my absolute favorite decoration that always scares at least a few party-goers. Just Google something like "creepy portraits" and print out your favorites. Then replace your picture frames around the house with these! 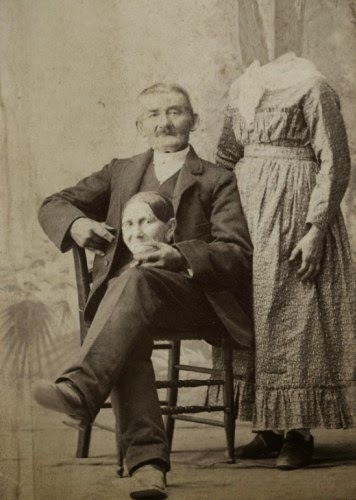 I guarantee you that people will stop to look at your family photos, only to jump back in surprise! Music is a must for this season! So playing some themed tunes in the background will definitely set the mood. Lucky for you, I created a Halloween Playlist last year for exactly this reason. 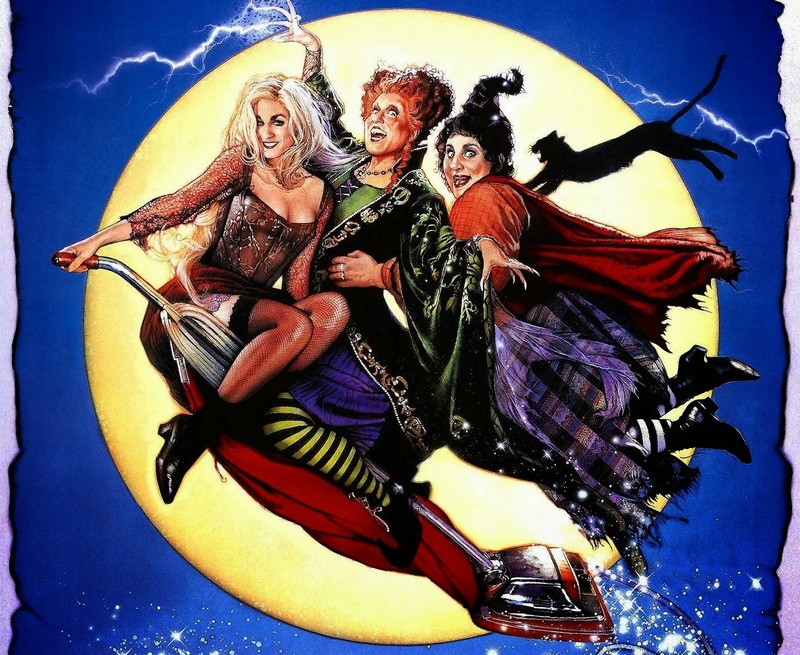 So check out my post with the playlist and enjoy some spooktacular classics! This is one of the easiest and cutest Halloween decorations. Plus, it's a perfect activity to do with kids! Just ball up a tissue (or use a lollipop if you want to give these out as goodies) and drape another tissue over the ball. 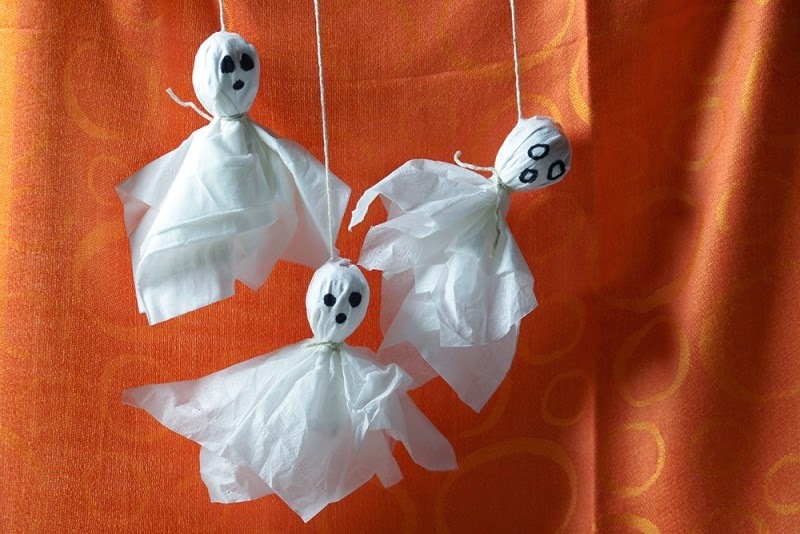 Secure with a string, draw some eyes and voila- you've got a ghost that you can hang from the ceiling! Can't get much cheaper or easier than that! 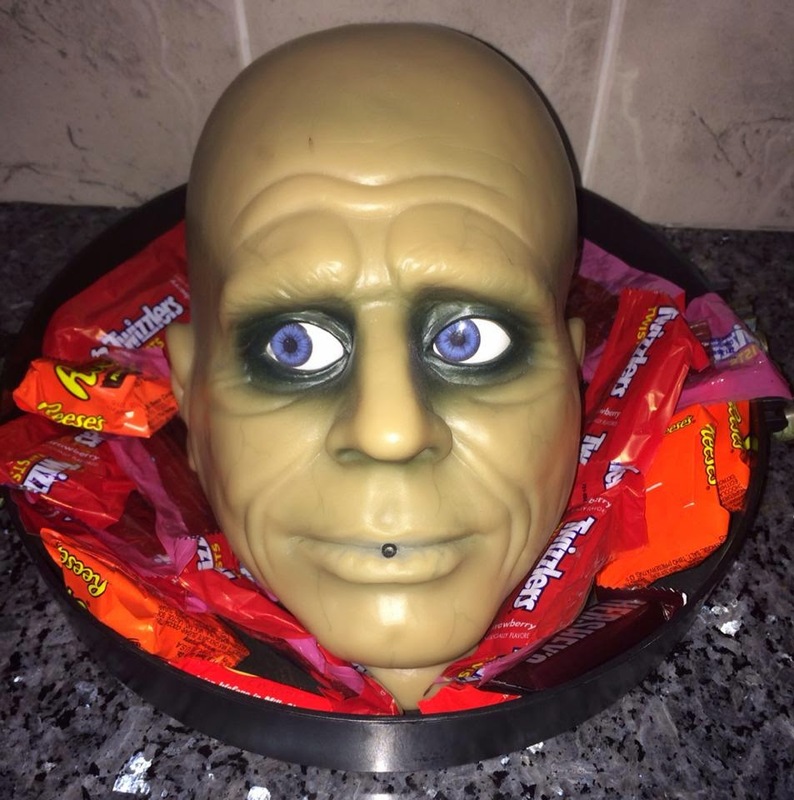 Isn't our candy dish so creepy?! He makes noises and moves his eyes too! When in doubt, just make sure you have a lot of candy! At Halloween, sweets and treats are definitely people-pleasers, so a bowl with a wide variety will ensure that you're guests leave happy and in the Halloween spirit!